Flanigan Communications - What A Great Website! 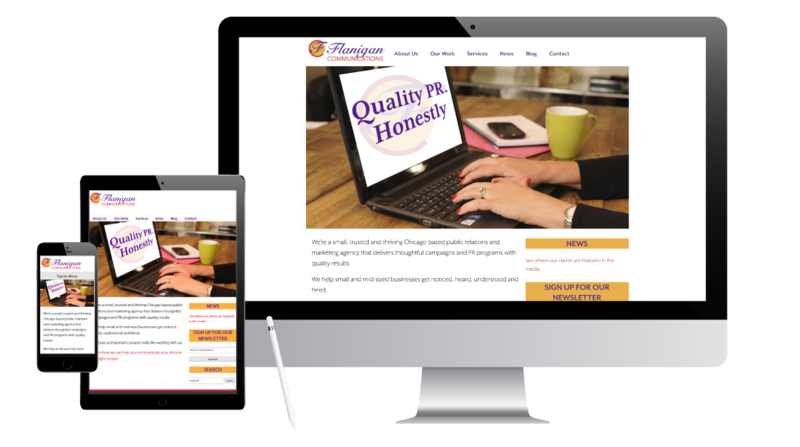 Busy Chicago-based public relations whiz, Dyana Flanigan, wanted a vibrant contemporary site to match her new logo (designed by iris), one that clearly reflected her brand. She doesn’t have a lot of time to fiddle with website updates so a WordPress site was the perfect solution for ease of use. Clear, user-friendly navigation – like a News jump link on the home page sidebar as well as in the top menu — makes it easy for visitors to see examples of her show-me-what-you’ve-done client media placements. The Services page clearly details her areas of expertise and explains her PR process.